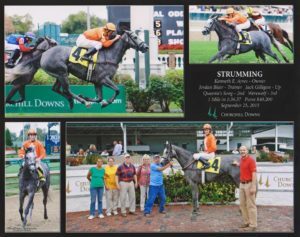 Born in the Bluegrass, Jordan Blair has been a Thoroughbred racing fan practically since birth. Well versed in all facets of the industry, Jordan attended his first Breeders’ Cup in 1988 at Churchill Downs. His mother, Debbie, worked for the organization as the Vice President of Customer and Event Services. 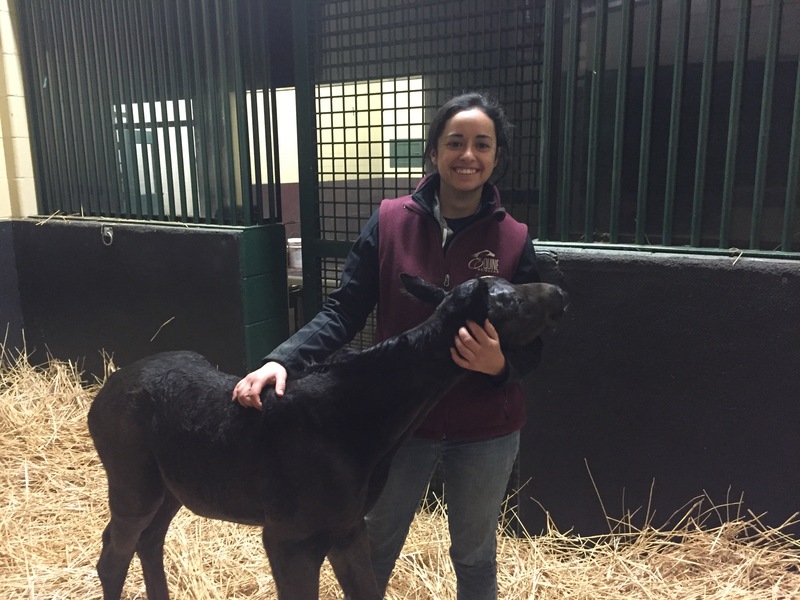 Because of her role with Breeders’ Cup, Blair was very aware that there were many ways to work in the racing industry and that not all of them were hands-on with the horses. 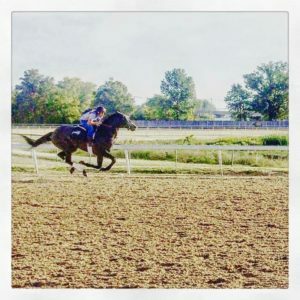 But hands-on is what Jorden preferred: To earn spending money as a teenager, he worked for the Keeneland sales for consignors like Taylor Made, as well as for Bluegrass Thoroughbreds and Pin Oak Stud. Jordan also worked for Gainsborough Farm and Dromoland Farm throughout high school and college. After graduating from Tates Creek High School in Lexington in 1999, Jordan attended the University of Kentucky (UK), where he studied Agricultural Economics and Horticulture Science; he chose the Big Blue Nation for multiple reasons, including in-state tuition, the easy transition to college from home, its top-notch ag college and the fact that “I’ve always been a huge UK sports fan!” says Jordan. After graduating from UK, Jordan went to Mississippi State to get a Master’s Degree in Agribusiness Management. 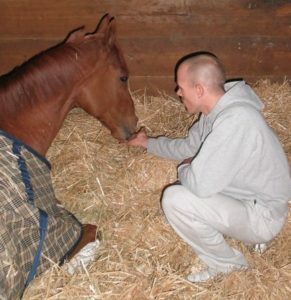 It was while he was in grad school that Jordan stumbled upon the Kentucky Equine Management Internship (KEMI) program. Required to complete an internship to finish his MBA, Blair found the KEMI program online and was immediately intrigued: “I was sold [on it] as it was in my hometown and I was anxious to graduate!” he explains. Jordan applied and, once accepted into the program, was placed on Pin Oak Stud in Versailles. Home to a stallion roster that includes Broken Vow and Alternation, Pin Oak encompasses over 1,300 acres and cares for broodmares and foals in addition to its stallions. The farm is owned by Josephine Abercromie, a staunch supporter of both the racing industry and the local community—both of which Jordan was, and continues to be, passionate about. While Jordan received vast amounts of hands-on experience while working at Pin Oak, he also enjoyed the classroom and lecture portions of KEMI. He greatly appreciated the ability to be exposed to great professionals who worked in every facet of the Thoroughbred industry. Once graduated from KEMI in 2006, Blair worked some additional sales, then got a full-time position in the front office of Ben-D Farm in Walton, Ky., where he worked for 2 years as office manager, taking care of accounts, booking mares to stallions, working with sales companies and consignments. He was also hands-on with delivering foals and prepping yearlings. After his time at Ben-D, Blair changed gears and became an assistant trainer, working under such notables as Mike Maker, Michael Ewing and Kenny McPeek. After eight years, he struck out on his own. And what was the hardest part of KEMI? Learning how to balance work and course work, Jordan says. Now married with a child of his own, KEMI helped Jordan learn how to balance multiple important priorities, as well as the importance of networking, and keeping close contacts inside and out of the industry. 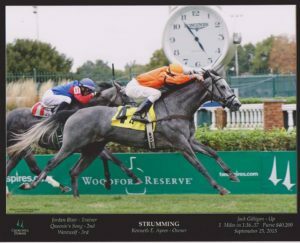 Now married to business partner Jordan Springer, Jordan focuses on racing client horses at Turfway, Ellis Park, Churchill Downs, Indiana Grand and Kentucky Downs. 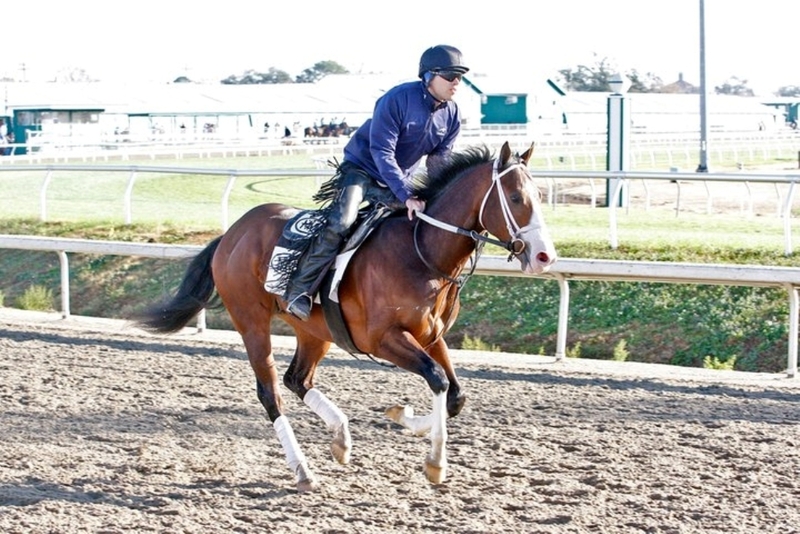 Jordan has trained stakes-placed Silver Magnolia and allowance horses including Craving Carats, Patrick’s Day, Oatfield and Gift Receipt. The Kentucky Equine Management Internship (KEMI) is now accepting applications for our Spring of 2018 session. Dates for Spring 2018 are January 8 – June 1, 2018. Applications are located on this website. The deadline for applications is October 31, 2017. Any questions can be directed to: info@kemi.org.